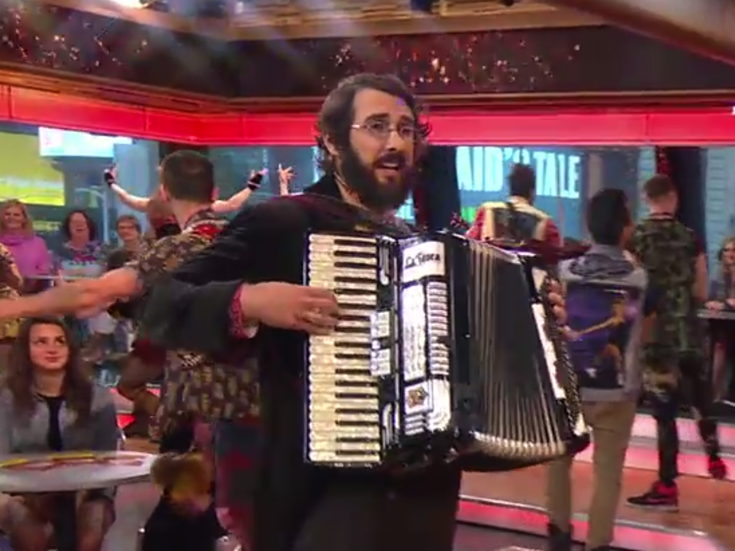 The stars of Broadway’s epic musical Natasha, Pierre & the Great Comet of 1812 stopped by Good Morning America on April 14 to show off their new show. The cast, led by Josh Groban and Denée Benton, offered up a number from Dave Malloy’s vibrant original score. The musical has been thrilling audiences since it opened on Broadway, and from the reactions of the lucky crowds at GMA, audiences are clearly on board with the immersive hit. Raise a glass and give a watch as the singing, dancing stars sample their War and Peace-inspired musical for TV audiences. Then head on over to the Imperial Theatre to experience their talent for yourself.